Charles van der Pear, a New York-based luxury men’s clothing and accessories brand, is introducing the most comfortable and best fitting boxer shorts for the man on your Christmas list this year. Charles van der Pear's tailored luxury boxer features a soft cotton inner liner offering superior comfort - combining the support provided by a boxer-brief with the looks of a boxer. Made in New York City’s Fashion District, the Company is committed to using only the finest, yet durable fabrics to produce high-quality clothing. 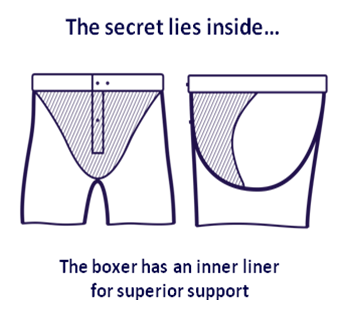 With traditional boxer shorts being loose-fitting and easily bunching up under pants, and briefs being too tight and not allowing proper "air flow," the company focused on designing a soft cotton inner liner, which allows the appropriate support without being too restrictive. Made from lightweight woven cotton fabric, which becomes softer with every wash, the boxer provides a truly luxurious feeling. The adjustable two button waistband, a button fly, and a fully covered elastic waist are additional unique features that underline the superior quality of our product. Charles van der Pear - the luxurious boxer shorts of choice for the modern gentleman in your life! Buy It: You can purchase Charles van der Pear for $49 per boxer and the collection will be available in high-end retail stores and can be purchased online at CharlesvanderPear.com.